What is the future of airline credit cards? What is the future of airline credit cards in the UK? I wrote this article last week for potential use in another publication. It seemed a shame not to run it on here too. Whilst very little in this article will be new to regular readers, it does pull together a lot of news and ideas from various different HFP articles into one place for the first time. What cards were withdrawn on 6th November? I know that the two Virgin Atlantic cards will return shortly under the Virgin Money banner. There are no confirmed plans for the other cards to return under a new issuer. I know that some early stage discussions are taking place with niche low-cost card issuers – there is an opportunity here for someone to come into the market and pick up these contracts if they can make the numbers work. Why did 80% of the UK airline credit card market disappear overnight? Today, the only UK airline credit cards still open to new applications are the two British Airways Avios credit cards (one from American Express, one from Lloyds) and the very small Flybe credit card. Two linked events caused this. The core driver was the European Union cap on interchange fees charged by Visa and MasterCard. The EU believed that Visa and MasterCard were operating an oligopoly. It claimed, arguably correctly, that the two companies were exploiting their oligopoly on payment processing by charging disproportionate fees, especially as all of the risk was taken by the retailer (in case of chargebacks) and the card issuer (in case of bad debts). New rules brought in last year restricted the fee that payment processors could charge retailers for accepting credit cards to 0.3%. It is very difficult to run a successful mileage card on this basis – if you earn 0.3p per £1 spent, you cannot pay an airline 0.5p to 1p per £1 to buy the cardholder an air mile! How did American Express get dragged into this? The second driver was American Express being caught up in the 0.3% cap, even though it was originally expected to be exempt. In theory, American Express should have nothing to do with this. Amex is vertically integrated and there is no intermediary sitting between the retailer and Amex who is adding additional fees. A retailer was free to either work with Amex, paying the fees they requested, or not. Back in July, the EU’s Advocate General ruled against an American Express appeal that it should not have fees on its co-brand cards capped. This primarily impacts the British Airways American Express card. With over £1 billion of monthly billings, it is by far the most successful travel credit card in the UK. This Head for Points article goes into this ruling in more detail. The bottom line is that unless the EU court throws out the preliminary view of the Advocate General – which is rare – the British Airways Amex will be at risk too. The current generous benefits package cannot be funded if merchant fees are cut from 1.75% to 0.3%. The ONLY personal credit and charge cards which will remain outside the interchange fee cap are non co-branded Amex products – Gold, Green and Platinum. What can customers do if they still want to collect airline miles from a credit card? The British Airways American Express credit cards, and the Lloyds Avios Rewards credit cards, are – for now – still available. ALL other airline credit cards have been closed, apart from the small Flybe card. Some may return next year in a different guise – I will discuss in a minute what that guise may be. 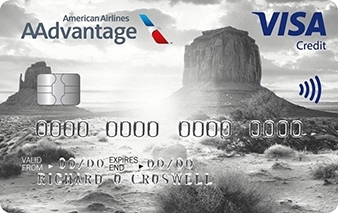 You can still earn airline miles via American Express Membership Rewards points. I recommend American Express Preferred Rewards Gold as the best choice. This card is free for the first year, comes with a 20,000 points sign-up bonus and comes with two free airport lounge passes. Amex points can be transferred at 1:1 into three of the airlines whose cards were closed – Virgin Atlantic, Etihad and Emirates. Anyone wanting Lufthansa, United or American Airlines miles should take the Starwood Preferred Guest American Express card instead. Whilst this is a hotel credit card, the points transfer into almost 30 airline schemes at 1:1 (United is 2:1). The card does have a £75 annual fee. How will this change the face of travel loyalty cards? For years, credit cards have been a licence to print money for airline loyalty schemes in the UK. It is believed that 2/3rd of income from the sale of miles to third parties comes from financial services companies. It’s not just about money though. Co-brand credit cards are an amazing marketing tool. The value to British Airways of having you see their brand every time you pay for something is HUGE. Going forwards, these cards will not be able to offer huge numbers of miles per £1 spent. So, what now? Would you pay £495 for a new British Airways Elite American Express card which came with BA Silver status, giving you airport lounge access, fast track security and priority boarding, potentially with a high spending threshold? Would you pay £195 for the British Airways Premium Plus if the earning rate was cut to 1 Avios per £1 but you also received free British Airways Bronze status? This would give you fast track security and free seat selection. This is the future, I believe. A future where co-brand partners need to bring more to the table if they want to keep their logo in your wallet as a marketing tool. For years the airlines have had it all their own way. They found a way of placing their logo in a prominent position – on a payment card – where you would see it every day. And, instead of actually paying for this exposure, they were making money, lots of money, from it. Those days are gone. MBNA’s actions in culling eight airline cards overnight proved it. It would be a foolhardy loyalty programme that decided to walk away from such an amazing marketing tool though, even if they have to actually spend money – instead of making money – to achieve it. ZRH-SIN = 85,000 Singapore airlines Kris flyer miles plus 26 quid in first per person. DME-SIN = 85,000 Singapore airlines Kris Flyer miles plus 12 quid in biz saver per person. Is this regular redemption numbers or a sale? I know absolutely zero about Kris flyer miles. Cate, where are you seeing those prices and points. Can’t see it in their new award chart. @Darren and jtz – you need to log in to Singapore’s own website on the book flights page, choose rewards, pick a date and search. Plenty of availability for biz savers if you look far enough. First is tight though. If you’re looking for a cheap point redemption just to try out the new A380 suite and you’re in the area, checkout SIN-HKG for 37,500 per person plus 18 quid. Cate, thanks for your help on searching krisflyer, but I am seeing 115,000 for first from ZRH to SIN? Deal still on via Iberia until Friday. They can, however, still be used in most major retailers. Hope that we have the usual December ‘get £5 back on £10 spend at Post Office’ offer on Amex. but with their changes to the limits it was becoming a pain anyway. 1. You will receive 18,000 bonus Membership Rewards points if your friend or family member uses the Referral Programme to apply for a card (other than a Basic Card) and is approved. You will not receive any points if they apply for a Basic Card. 2. Only friends and family: You must only send the referral link to close friends and family…. The problem is Amex are not famed for having clearly written T&Cs – the same wording appears on other cards too, I think we won’t know for certain until some cross-card currency referrals have been made and they’ve gone through! 🙂 We’re having a few drinks in the hotel lounge before dinner. Mrs G reading, me reading about points lol. Alan and Cate, can’t reply to your earlier comments about Krisflyer. Thanks for the pdf, I can see Europe to Sin will be 85,000 in Bus saver, but how can you get ZRH to SIN in first for 85,000 as stated earlier? Is ZRH in a different zone? Thanks! Do we know how long this Sunday treat will last for? LOL I think Genghis must have been sitting ready to submit – he squeezed in before you by under a minute 😀 Thanks as ever though, thehornets – love this weekly free points hand out! Don’t I know it. He was quick! @Ed – TPG mentioned that there are at least 7 more weeks of this.. So plenty of time for people to sign up to Twitter, link their accounts and accrue thousands of free Marriott points. Thanks again for the reminder,You’d think I’d remember it by now! How do you link your accounts to get the points? I can’t see how. As in twitter with Marriott. Thank you. I am going to test a SPG referral for a Amex Gold application tonight. Ah, cool – will be interesting to hear how you get on! Just applied but they couldn’t give me a decision instantly so might take a bit longer to report back. For some reason I never get approved for charge cards instantly but credit cards I do. Really annoying. Will let you know. Excellent timing – I’m due to refer my wife for the SPG and I currently hold Platinum and SPG… would be nice if I can get 18k MR rather than 5k SPG! Any update on the application? Completely OT but no bits section. The NOW TV boxes are back in stock again at Tesco. Just bought one 2 minutes ago. I just received an offer in the post from American Express offering a companion Gold credit card to my Gold charge card, with the offer of 5,000 points if I spend £500 on it within three months. Has anyone else? It is interesting in light of the article above, but also unexpected given that it is quite generous for an offer to an existing customer. Had this offer a couple of times, it’s easy points. I guess they plan to profit from interest charges on this card in the hope you’ll use it if you need to spread out repayments. I suspect that many US retailers might be looking at EU and Australian capped card acceptance fees and weeping..
As an infrequent flyer who uses air miles to cut the cost of family holidays I wouldn’t be particularly thrilled at the prospect of losing air miles earning potential in return for status.